There's nothing more classic than a small pair of gemstone stud earrings. I have made these earrings by setting 2.75mm faceted round emerald (natural, oiled, grade B) in solid 14 karat yellow gold tube settings. I have soldered tiny bars across the back of each setting so that I could properly center the earrings posts. The posts are also 14 karat gold. The clutches are 14 karat gold LuxLock bullet clutches. These clutches lock in place, assuring that your earrings are secure while you are wearing them. These grade B emeralds are a great kelly green color, with some cloudiness. 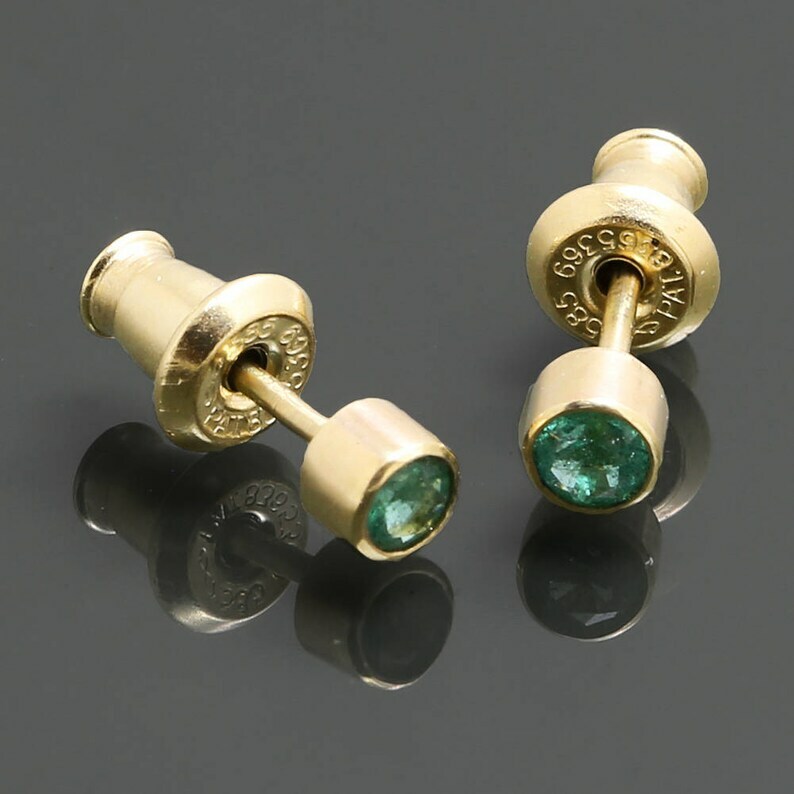 Emerald is May's birthstone, making these earrings an excellent gift for the May birthday person in your life. Really love this necklace. Very beautiful and stone sparkles. Good sterling silver setting and chain - fine but sturdy.